Nine thousand heavily armed police including SWAT teams were deployed in a manhunt to capture a 19 year old student at U-Mass, after his brother Tamerlan Tsarnaev, the alleged Boston Marathon terror mastermind was shot dead by police allegedly after a car chase and shoot out with police. Coupled with the alleged anthrax and ricin letters in Washington D.C. which mysteriously surfaced in the immediate wake of the Boston tragedy, both Washington and the media have underscored the Tsarnaev brothers tenuous ties to Chechnya’s militant jihadist insurgency. What is implied is that even if the suspects are not tied to a Muslim extremist network, their embedded cultural heritage and Muslim “background” incites them –quite naturally– to commit acts of violence. How does this concept –which routinely associates Muslims with terrorism– repeated ad nauseam in the Western news chain, affect the human mindset? 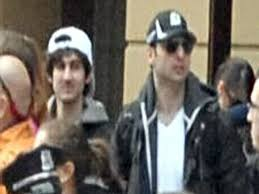 While the identity and motives of the suspects are currently being examined by police investigators, the Tsarnaev brothers have already been categorized –without supporting evidence– as “Radical Muslims”. Across the land, Muslims are being smeared and demonized. A new wave of Islamophobia has been set in motion. A new legend is unfolding: “The Chechen Connection” is threatening America. Islamism homegrown in the Russian Federation is now being “exported to America”. Plastered on news tabloids across the United States, the April 15 Boston Marathon bombings on Patriots’ Day are relentlessly compared to September 11, 2001. Is the Boston tragedy being used by Washington to usher in a new wave of police state measures directed against different categories of “domestic terrorists? Is this catastrophic event being applied to foster public reaction against Muslims? Is it being used to build acceptance of America’s holy crusade –initiated during the Bush administration– directed against a number of Muslim countries, which allegedly “harbor Islamic terrorists”? “The Chechen Connection” has become embedded in a new media consensus. The American Homeland is potentially threatened by Muslim terrorists from the Russian Federation, who have links to Al Qaeda. Moreover, the new terrorist narrative now involves jihadists from the Russian Federation rather than from the Middle East. There are geopolitical implications. 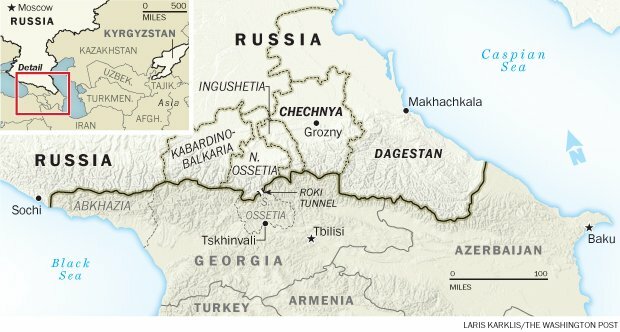 Will the Chechen Connection be used by the administration as a renewed pretext for pressuring Moscow? What kind of media propaganda is likely to emerge? 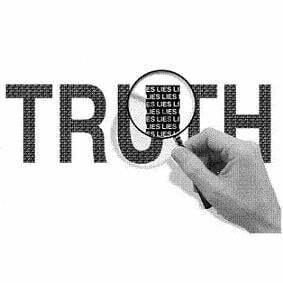 The American public is misled. The media reports carefully overlook the historical origins of the Chechnya jihadist movement and its pervasive links to US intelligence. Chechnya is an autonomous region of the Russian Federation. Among the recruits for specialized training in the early 1990s was the leader of the Chechnya rebellion Shamil Basayev who –in the immediate wake of the Cold War– led Chechnya’s first secessionist war against Russia. During his training in Afghanistan, Shamil Basayev linked up with Saudi born veteran Mujahideen Commander “Al Khattab” who had fought as a volunteer in Afghanistan. Barely a few months after Basayev’s return to Grozny, Khattab was invited (early 1995) to set up an army base in Chechnya for the training of Mujahideen fighters. According to the BBC, Khattab’s posting to Chechnya had been “arranged through the Saudi-Arabian based [International] Islamic Relief Organisation, a militant religious organisation, funded by mosques and rich individuals which channeled funds into Chechnya”. (BBC, 29 September 1999). The evidence suggests that Shamil Basayev had links to US intelligence as of the late 1980s. He was involved in the 1991 coup d’Etat which led to the break-up of the Soviet Union. He was subsequently involved in Chechnya’s unilateral declaration of independence from the Russian Federation in November 1991. In 1992, he led an insurgency against Armenian fighters in the enclave of Nagorno-Karabakh. He was also involved in Abkhazia, the largely Muslim breakaway region of Georgia. The first Chechnya war (1994-1996) was waged in the immediate wake of the collapse of the Soviet Union. It was part of a US covert operation to destabilize the Russian Federation. The Second Chechnya war was waged in 1999-2000. Broadly speaking the same guerrilla terrorist tactics applied in Afghanistan were implemented in Chechnya. The ISI is in permanent liaison with the CIA. What this statement signifies is that US intelligence using Pakistan’s Inter Services Intelligence (ISI) as a go-between was calling the shots in the Chechnya war. Russia’s main pipeline route transits through Chechnya and Dagestan. Despite Washington’s condemnation of “Islamic terrorism”, the beneficiaries of the wars in Chechnya were the Anglo-American oil conglomerates which were vying for complete control over oil resources and pipeline corridors out of the Caspian Sea basin. 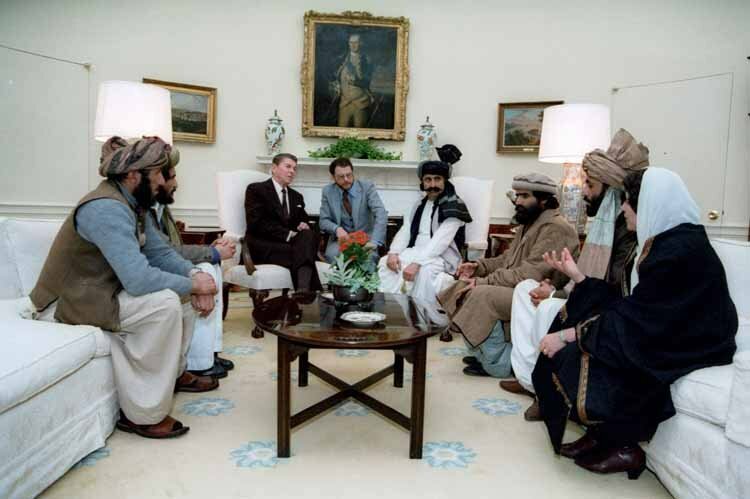 The Chechen insurgency modeled on the CIA sponsored jihad in Afghanistan has also served as a model for several US-NATO sponsored military interventions, including Bosnia (1992-1995), Kosovo (1999), Libya (2011), Syria (2011- ). The 1994-1996 Chechen war, instigated by the main rebel movements against Moscow, served to undermine secular state institutions. The adoption of Islamic law in the largely secular Muslim societies of the former Soviet Union served US strategic interests in the region. A parallel system of local government, controlled by the Islamic militia, had been implanted in many localities in Chechnya. In some of the small towns and villages, Islamic Sharia courts were established under a reign of political terror. Financial aid from Saudi Arabia and the Gulf States to the rebel armies was conditional upon the installation of the Sharia courts, despite strong opposition of the civilian population. 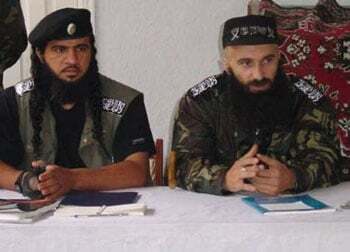 The Principal Judge and Ameer of the Sharia courts in Chechnya was Sheikh Abu Umar, who “came to Chechnya in 1995 and joined the ranks of the Mujahideen there under the leadership of Ibn-ul-Khattab. … He set about teaching Islam with the correct Aqeedah to the Chechen Mujahideen, many of whom held incorrect and distorted beliefs about Islam.” (Global Muslim News, December 1997). The second Chechnya war was launched by Vladimir Putin in 1999, with a view to consolidating the role of the central government and defeating the US sponsored Chechen terrorists against the Russian Federation. The development of an Islamist terrorist militia in different countries around the World is part of an intricate US intelligence project. The “war on terrorism” mindset builds a consensus: millions of Americans are led to believe that a militarized police apparatus is required to protect democracy. Little do they realize that the US government is the main source of terrorism both nationally and internationally. The corporate media is Washington’s propaganda arm, which consists in portraying Muslims as a threat to national security. At this juncture in our history, at the crossroads of global economic and social crisis, the Boston bombings play a central role. They justify the Homeland Security State. 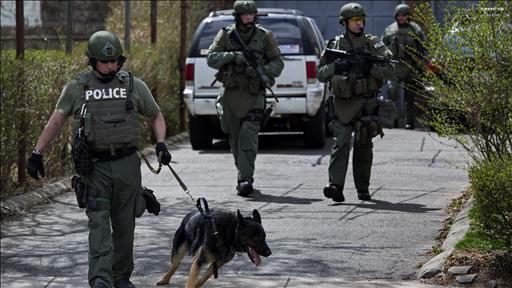 The evolving US Police State is thereby upheld as a means to protecting civil liberties. Under the guise of counter-terrorism, extrajudicial killings, the suspension of habeas corpus and torture are rightfully considered as a means to upholding the US Constitution. At the same time, the terrorists –created and supported by the CIA– are used to participate in “False Flag” terrorist acts with a view to justifying the conduct of a global military crusade against Muslim countries, which so happen to be major oil producing economies. Former CENTCOM Commander, General Tommy Franks, who led the invasion of Iraq in 2003, had outlined a scenario of what he described as “a massive casualty producing event” on American soil, (a Second 9/11) . Implied in General Franks statement was the notion and belief that civilian deaths were necessary to raise awareness and muster public support for the “global war on terrorism”. “U.S. counterterrorism policy has since 2001 focused largely on killing terrorists overseas or preventing them from getting into the U.S. But the Boston bombings show how the diffusion of terrorist tactics easily transcends borders. Countering small groups of individuals inside the U.S. can be a bedeviling assignment. The “terrorist massive casualty-producing event” was upheld by General Franks as a crucial political turning point. Do the Boston Bombings constitute a point of transition, a watershed which ultimately contributes to the gradual suspension of constitutional government?